Superdry women's Edit trench coat. Combining top quality craftsmanship with supreme style and comfort, this trench coat is the update you need this season to your outerwear collection. The Edit trench coat is classic in style, with a double-breasted button fastening, hook and eye fastened collar and two front pockets. 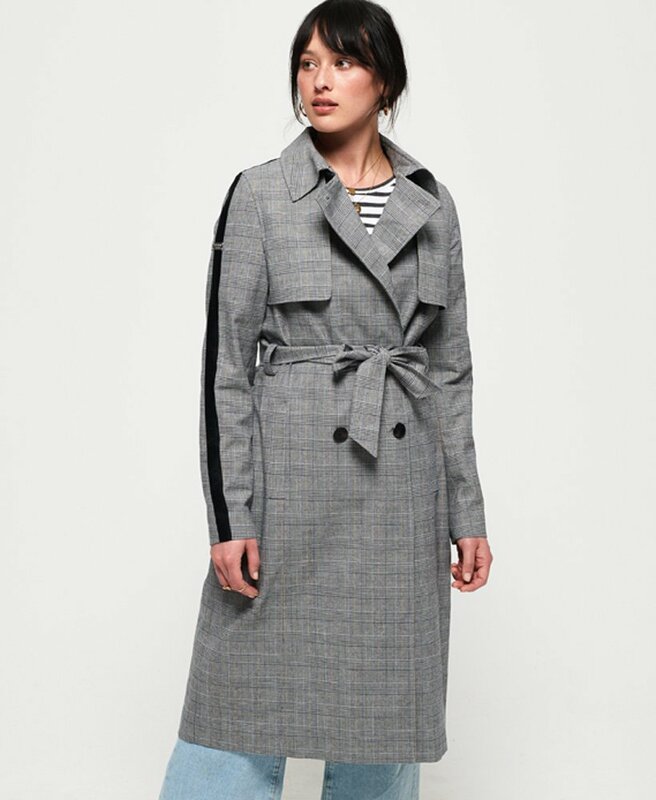 The trench coat also features a removable belt, contrast stripe detailing down the sleeves and to finish, a small logo badge on one sleeve. This coat is effortlessly versatile and is the perfect piece to take you from desk to dinner.